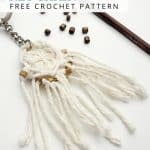 You’re going to love this super quick crochet project for the crochet BOHO Fringe Key Chain. Literally you won’t need more than about 20 minutes to make it. However it’s just one of those pieces you will bring with you all the time, since it’s a key chain & no-one goes anywhere without that right? 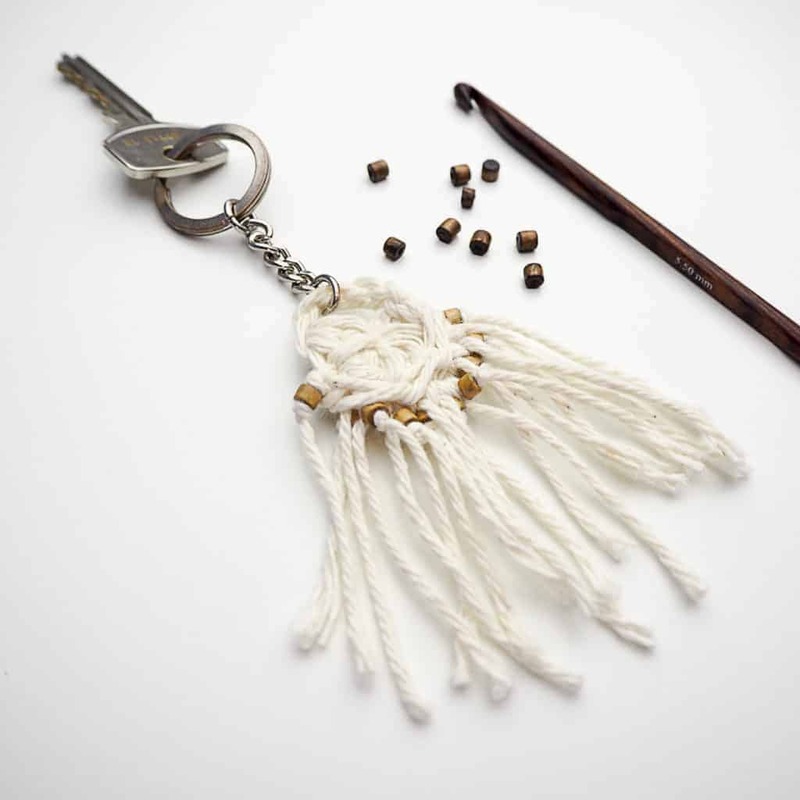 I’ve always wanted to carry a personal key chain & a crocheted one just seems perfect? Do you feel the same? 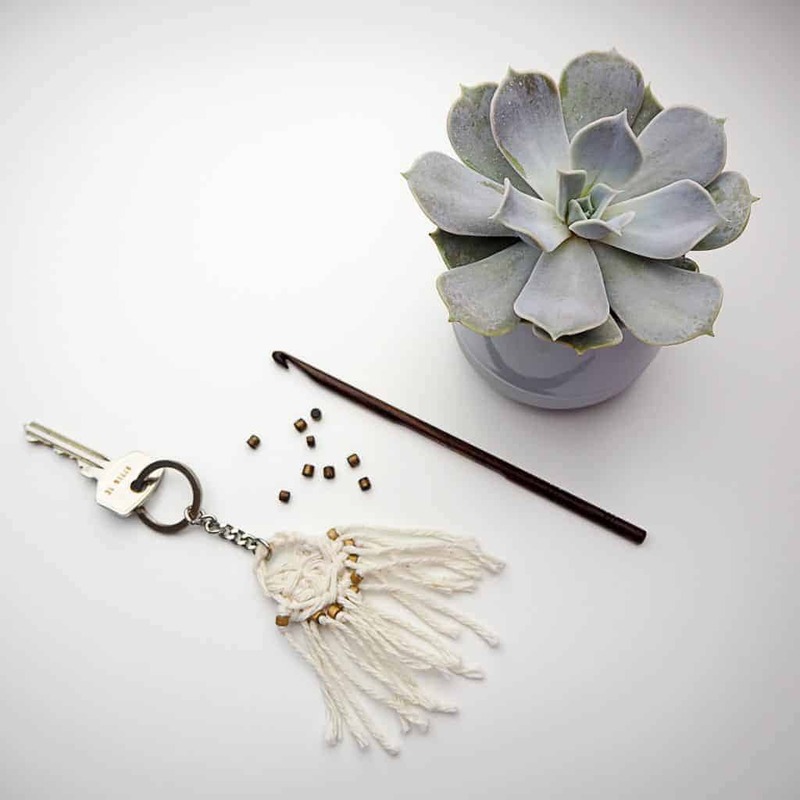 The style of the crochet BOHO Fringe Key Chain is inspired by all the amazing Boho Crochet Bags you see everywhere. Like these ones. 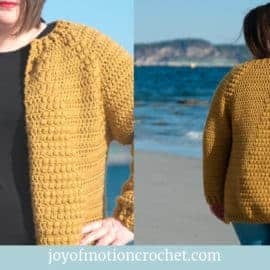 For this crochet pattern I used a yarn I really like from from Lion Brand Yarn. It’s their yarn called Kitchen Cotton. 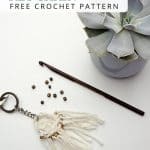 It’s a sturdy cotton yarn that works well with any home decor, kitchen accessories (as the name suggests) & of course also crocheted Key Chains. 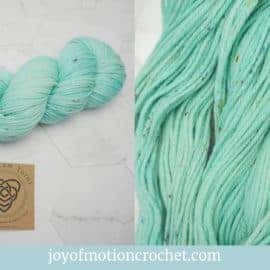 This yarn is what I typically call a “dry” cotton, which means it’s not as soft as other cottons. What’s great about this is that the stitches won’t move a lot, because the surface isn’t smooth. 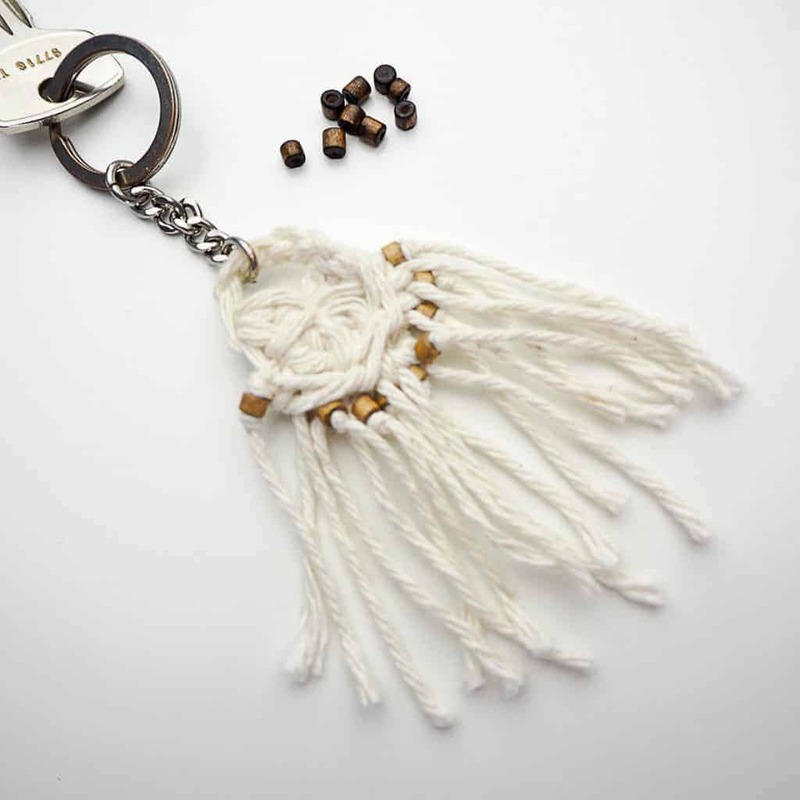 For that reason the Kitchen Cotton from Lion Brand is perfect for the crochet BOHO Fringe Key Chain. 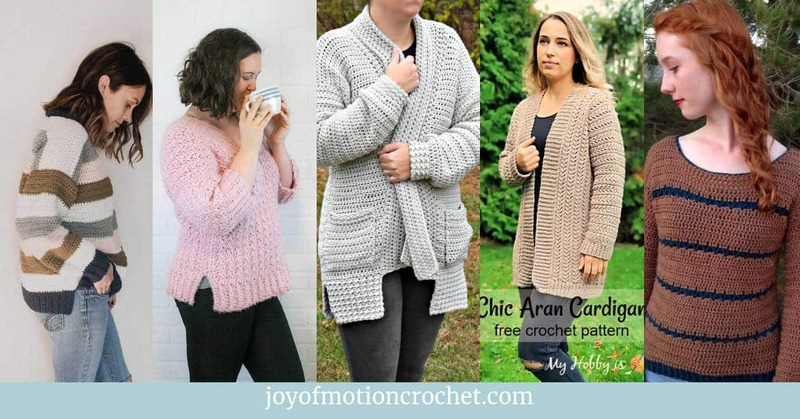 You can find the yarn from Lion Brand here. 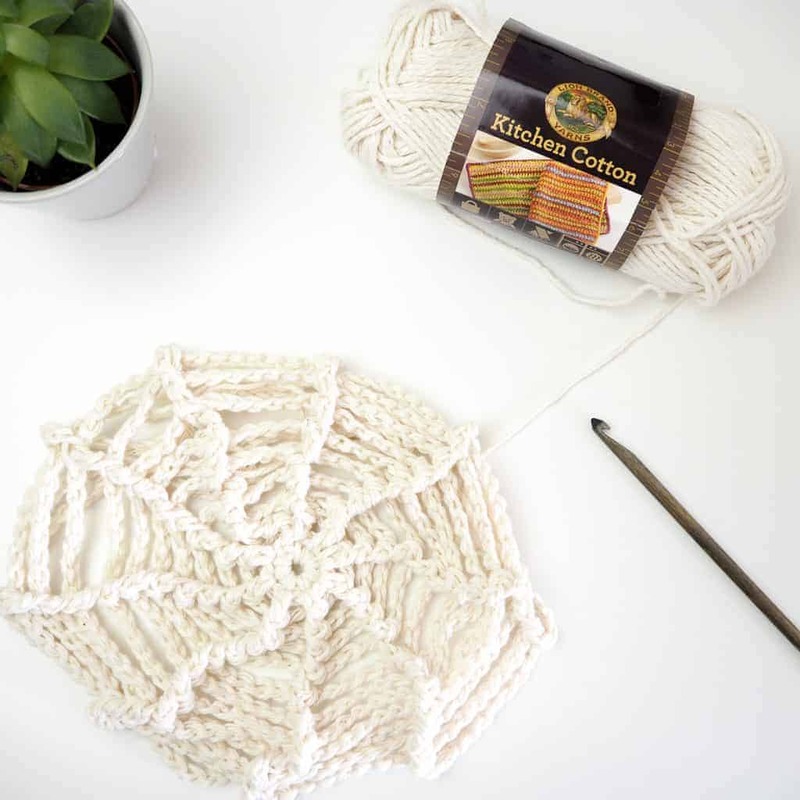 Ever felt like you needed a SUPER quick crochet project? Well, you’re not alone. 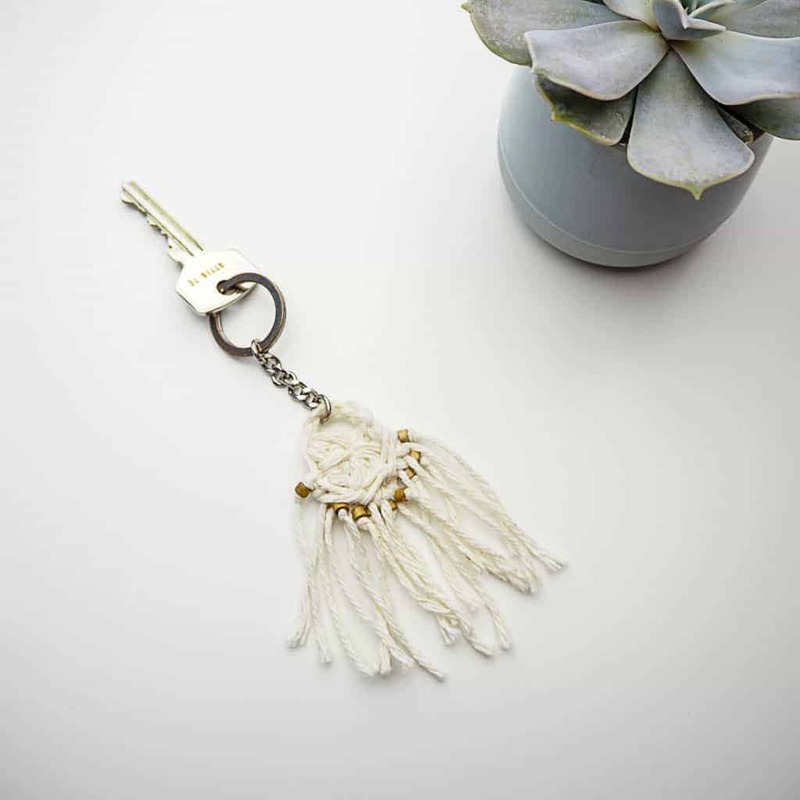 The crochet BOHO Fringe Key Chain can literally be made int just a few minutes. 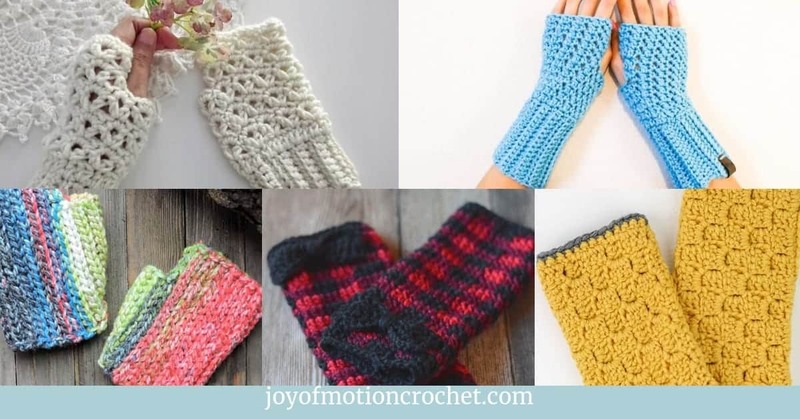 Because of that it’s a great last minute crocheted gift, it’s also a great idea to make for markets. 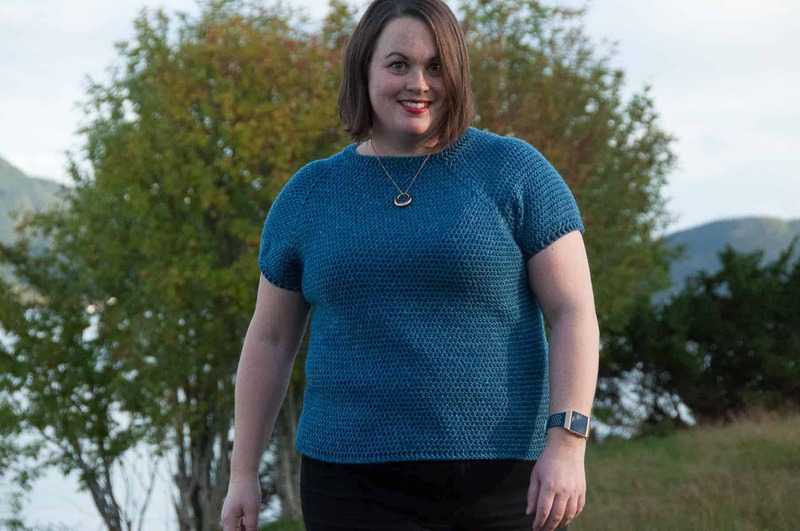 It’s perfect for markets because the cost of making it isn’t high when it comes to time + the amount of yarn isn’t much to talk about either. 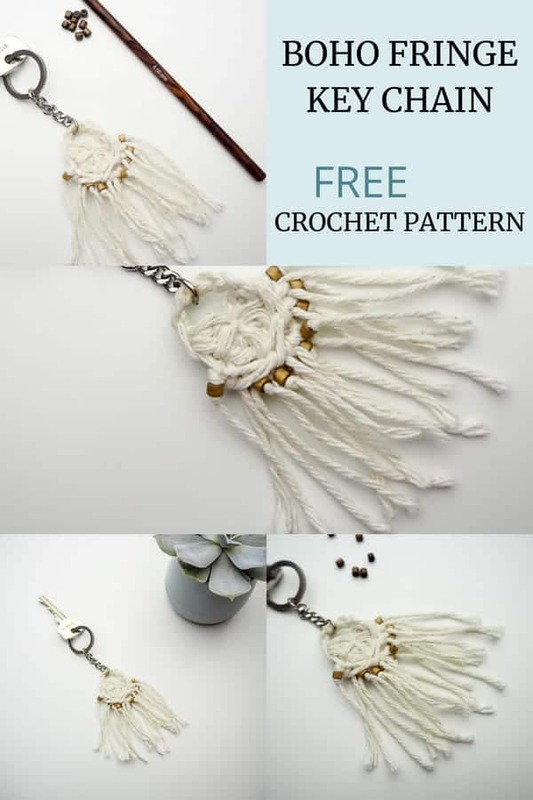 Since you like the Crochet Boho Fringe Key Chain, these might interest you too? 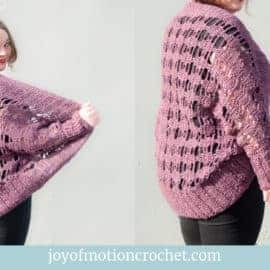 This pattern is only available in this blog post! 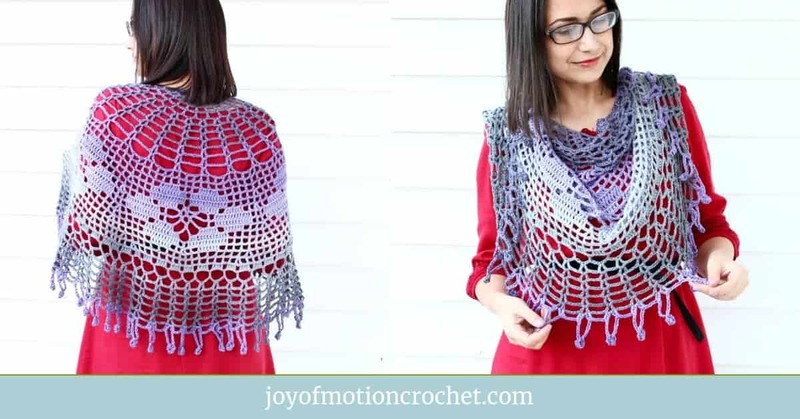 You’re going to love this crochet pattern, because it works up super fast! 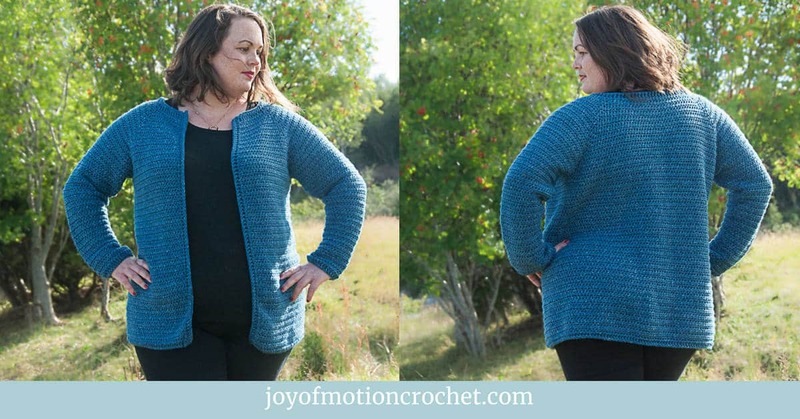 It’s truly made with summer in mind, & because of that it’s made with beautiful cotton yarn. 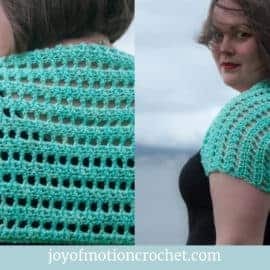 You’re going to need a crochet hook, 9 beads, a needle and some cotton yarn. The fringe is making this boho look come to life. 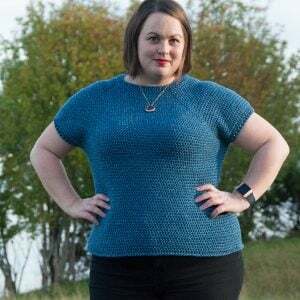 This can be made with any similar yarn & similar hook. 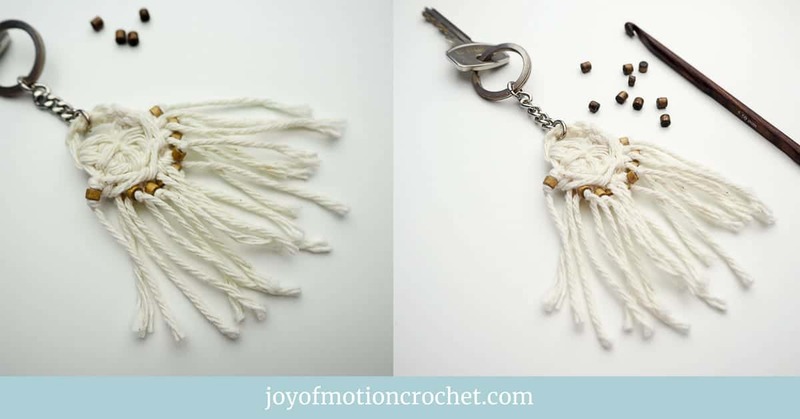 Thinner yarn & hook will make the key chain smaller, thicker yarn & hook will make it bigger. 2-dc-puff: Yo, pull up a loop, yo, pull up a loop, yo, pull through all loops on hook. 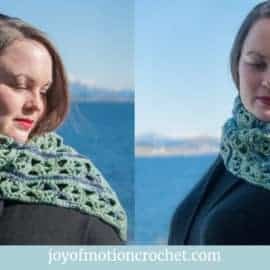 For this technique: Do not make a slipknot, but rather make a loop with the yarn & a ring at the same time. 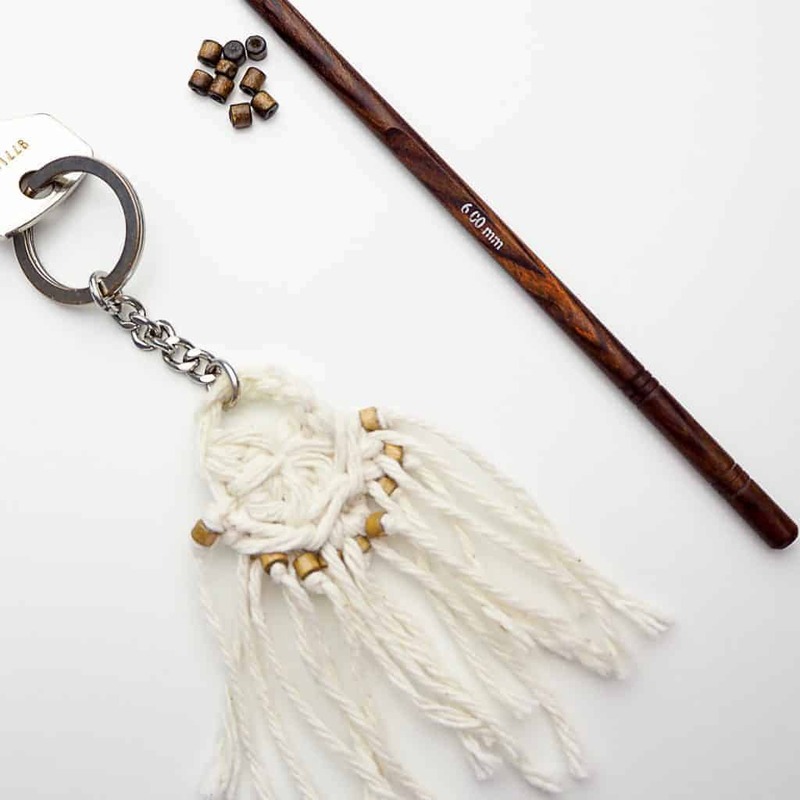 Step 1: Make a loop by crossing the yarn tail & the working end of the yarn & place it in the palm of your left hand. Where the yarn tail lays below the working end of the yarn. Step 2: Insert your hook into the loop, from the top to under the loop & from right to left. 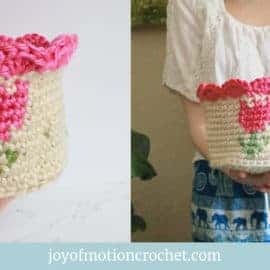 Wrap the working yarn around the hook from back to front & pull the yarn through the loop. Step 3: Now make a chain. Step 4: Start following the Instructions below. Round 1: 2-dc-puff 5 times into the magic circle. Tighten the magic circle. Ch 5. Sl st in first st (= 10 st + 1 sl st). Fasten threads & weave in the end from the beginning. 1. 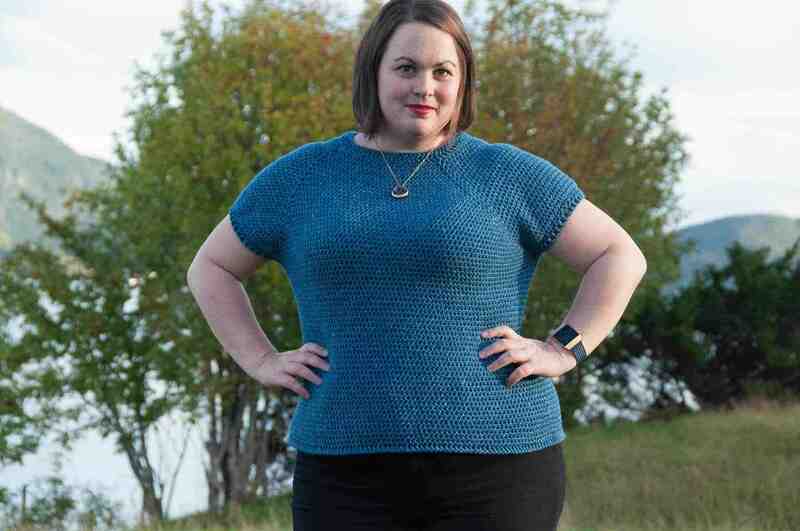 Cut 9 lengths of yarn that measure about 10 cm. 2. Attach 3 threads of yarn through the 3 middle 2-dc-puff from round 1, attaching 1 fringe at a time. 3. 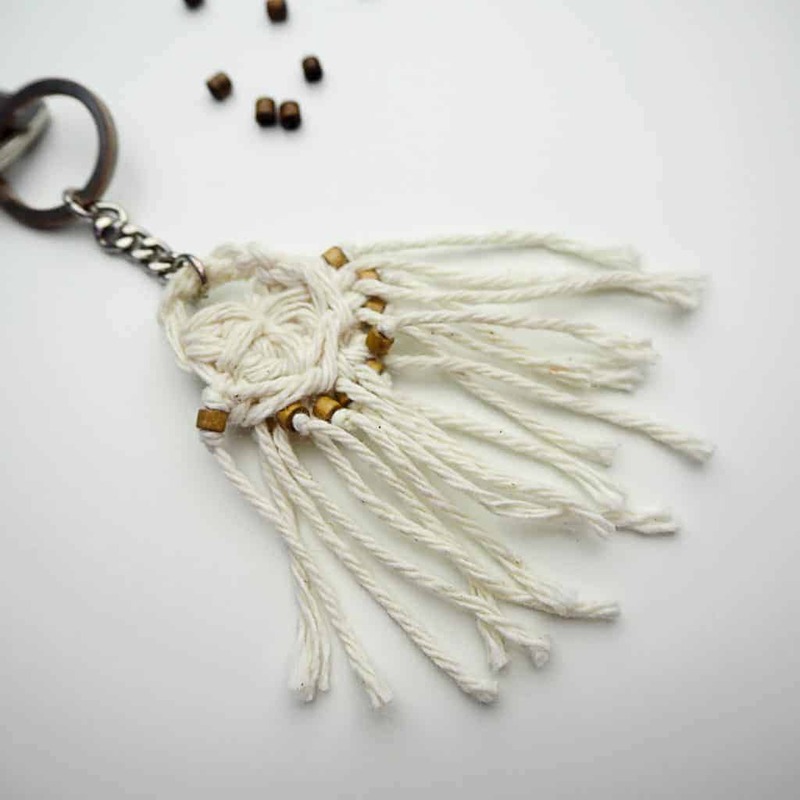 With a needle, thread a bead on every other fringe. Starting on the fringe furthest to the left, ending with the fringe furthest to the right. 4. When all beads are on their fringe, tie a knot to secure each bead. 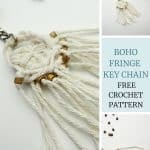 I really hope you liked the Crochet Boho Fringe Key Chain! 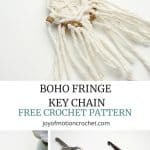 However, if you really like it, make sure to share the FREE pattern & share pictures of your Crochet Boho Fringe Key Chain that you’ve made with me.